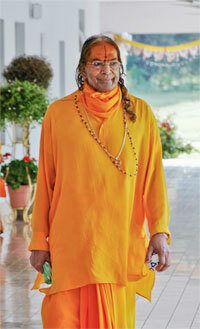 Jagadguru Kripalu Parishat, is an international spiritual organization founded by Jagadguru Shree Kripalu Ji Maharaj. This organization is working towards developing the spiritual qualities of all souls without consideration to caste, culture and country. It has five main ashrams. Bhakti Dham, Mangarh, Rangeeli Mahal, Barsana, Shyama Shyam Dham, Vrindavan, Jagadguru Dham, Vrindavan, and Barsana Dham, Austin, Texas, America. 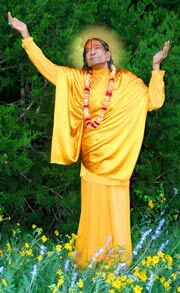 Jagadguru Kripalu Parishat is a charitable organization registered under section 12/8, of the India Income Tax Act. The trust engages in various activities for the upliftment of the poor and disadvantaged of society. Thousands of residents from neighboring villages are regularly gifted with essential commodities like clothes, vessels, blankets, etc. Free medical check ups and eye camps are conducted on regular basis keeping in mind the dreadful lack of medical facilities available in remote rural areas. A cottage industry program is run for the upliftment of village women. The trust has also founded a school and women’s college in recognition of the need for better education in different sections of society. Along with propagating the Divine teachings of Kripalu Ji Maharaj, these ashrams also do social service for the poor and disadvantaged.